Many foreigners that come to Thailand to retire or have a Thai wife and want to live in one of the best areas of Thailand look for a Hua Hin property to purchase or rent. The Hua Hin area including Cha Am, Pranburi, Khao Kalok and Sam Roi Yot are some of the nicest areas in Thailand to live or vacation. People that are looking for a Hua Hin property can find many such as condos, apartments, homes, and pool villas for sale or rent. Hua Hin is the premier seaside resort city in Thailand that offers year round warm but mild climate and comfortable living standards. Hua Hin is also a favorite vacation destination for foreign tourists along with Bangkok Thais. There are many great fresh seafood restaurants and modern shopping malls such as Market Village and the newly built BluPort Luxury mall that make the Hua Hin area a great place to vacation or live. Hua Hin offers great city living with quick access to shopping mall, restaurants, hospitals, and much more all close by. Many places you would be able to walk to and Hua Hin has taxi service running through most of the town. There are beaches all along the Hua Hin coast with beautiful places to lounge by the beach and have food and drinks. There are many attractions to see in the Hua Hin area and great places to spend the day. Hua Hin is home to some of Thailand’s finest golf courses. Golf is very popular in Hua Hin and golfers will have no problem finding a great golf course in Hua Hin to spend the day. 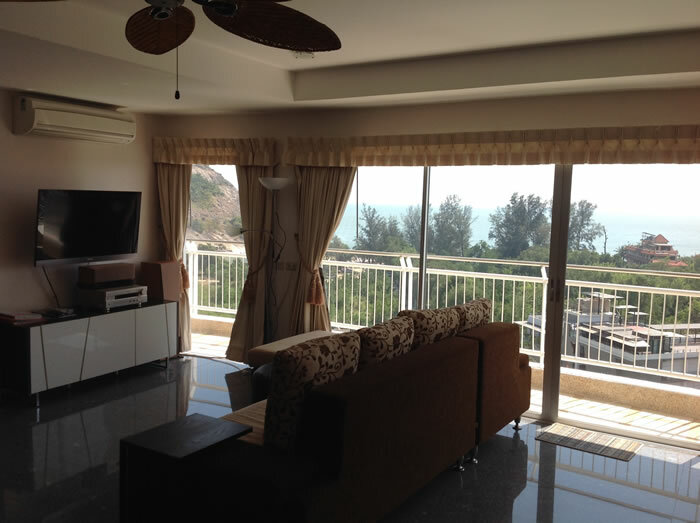 Foreigners that are looking for a Hua Hin property should first come to vacation in the area if they have not been here long and rent a Hua Hin condo such as the Jamchuree condominium on the beach at Khao Takiab in Hua Hin. This is the best way to look for property to purchase as you can rent a nice condo in a central location and take time to search all the real estate available in the Hua Hin area. You can then take the time to relax and enjoy the area and have proper time to look all around for property in the area that you prefer to purchase. Pranburi which is only about 15 kilometers south of Hua Hin has many fine beaches and home to the new Racer Marina. If you like boating then Racer Marina is worth a visit, offering dry or wet boat storage, service, and tour boats operating out of the marina. There are many nice properties for sale or rent in the Pranburi area that would be close to the beaches and the marina. Khao Tao sits between Hua Hin and Pranburi and has beautiful beachfront condominiums for rent and sale. Khao Tao has the beautiful Sai Noi beach with the beachfront Sanae Beach Club. There are many great Thai and European restaurants located in the area along with fresh seafood restaurants. Makro and Tesco are centrally located for grocery shopping and Hua Hin city just minutes away. Pranburi property is getting very popular as the area offers comfortable living that is not crowded yet still very convenient to go to Hua Hin or the main highway to Bangkok. There are plenty of new scenic bike paths built to cycle around for exercise or just have fun by the beach while you tour around. 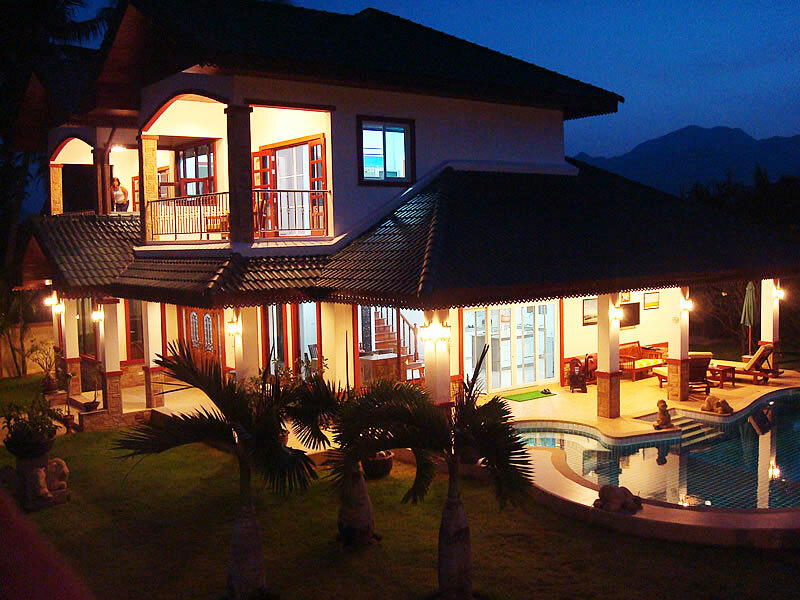 Pranburi is a very nice area to live with mountain views, fresh air and nice beaches. In today’s times, many people in parts of Europe and the USA are looking for overseas property for investment, security, vacation, or retirement. Thailand offers some of the best overseas property in the world with good real estate prices and safe comfortable living standards. Thailand real estate provides a safe haven for your investment in condos or homes. Research and see why more people are buying property in Thailand for investment, vacation, and retirement. Thailand offers year round comfortable climate and low cost of living. Thailand has many long term visa programs for living here that will suit most expats and retirees.